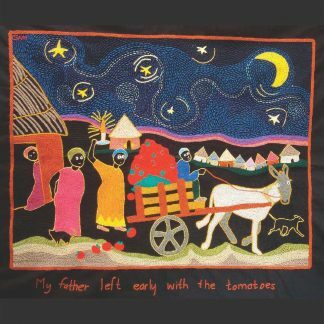 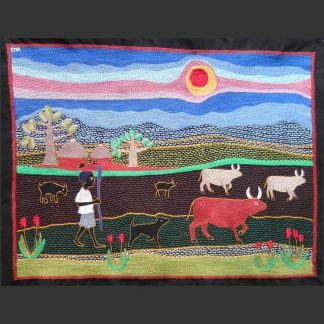 Sani is one of Tambani’s best embroiderers. This is a part of her life story. 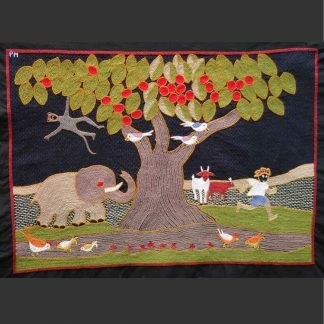 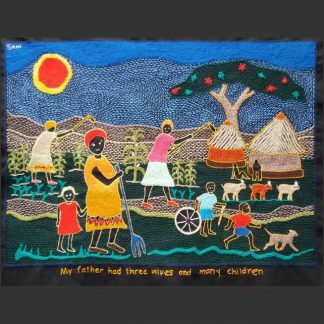 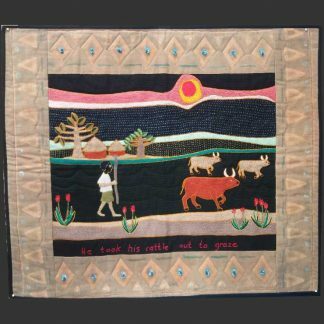 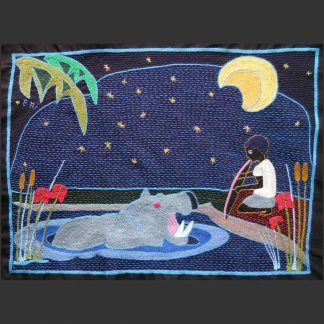 You can read her whole story in this website under Embroiderers. The buyer receives a copy of the Sani Mudau’s story with the embroidery.